Potted hyacinths are sold as seasonal flowering plants. You can make the flowers bloom earlier in the season than they do naturally, usually in late winter or early spring. The bulbs grow and bloom inside the home after they are forced. The potted hyacinths rarely bloom a second time in the pot, but you can replant them outdoors and they may bloom again the next year. 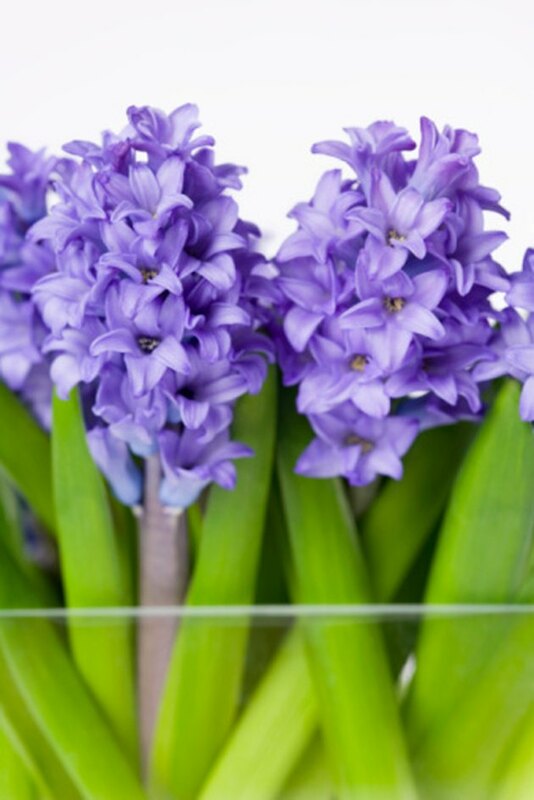 Caring for the potted hyacinth properly during the flowering period helps prolong the life of the blossoms. Potted hyacinths provide some of the first flowers of spring. Set the hyacinth pot in an area that receives bright sunlight until the bulbs begin to flower. Keep the pot in an area with a temperature near 60 degrees F for best growth. Water the bulbs when the top half inch of soil feels dry. Hyacinth are sometimes grown in pebbles and water instead of soil. Water these bulbs as needed so the water level remains just below the bottom of the bulb. Move the hyacinth pot to an area that receives bright but indirect sunlight once the flower blossoms begin to open. Direct sunlight during flowering may cause the blooms to wilt prematurely. Fertilize the bulbs with a soluble balanced fertilizer after the blooms begin to fade if you want to replant them outdoors. Only potted hyacinths in soil replant well - pebble-grown bulbs should be discarded. Apply the fertilizer every two weeks at half the recommended monthly dosage on the label. 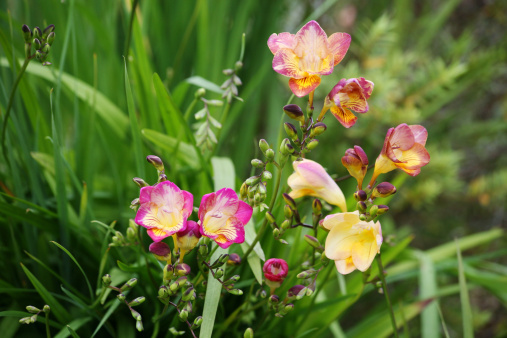 Cut off the flower stalks after the blossoms fade but leave the foliage in place. Move the plants back into direct sunlight and continue to water and fertilize them until the foliage dies back naturally. Cut the foliage off the bulbs to within 1 inch of the top of the bulb. Plant the bulbs outdoors in a sunny, well-drained bed, spacing them 2 to 3 inches apart in all directions. It may take up to two years before the hyacinths flower again. What to Do with Hyacinth Bulbs After They Flower?